This article has gone through so many changes, it’s crazy! The post talks about how Christians and the Church should see the ‘Cult of Corbynism’ and how do we respond to it. 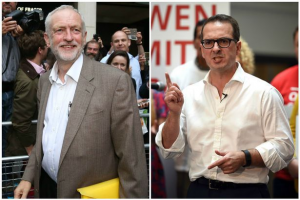 I do not hide the fact that I support Owen Smith and the PLP in the attempt to remove Jeremy Corbyn from leadership. I mean come on, I have Smith in my profile picture on Facebook! But unlike some Corbynites, I do not worship him; He is just a man, but one whom I just feel will do a far better job for the electorate! Labour should be about all of us, and not about one man. This post will be split into two issues. One on how we deal with Corbynism personally as Christians, and the section section on how the church should deal with it. This allows us to see the issue from an individual standpoint, and from a wider collective issue. In my humble opinion, Corbyn has been in fact disastrous for the left, always behind in the polls, losing council seats, making the party look like an idiot at PMQs, and failing to lead a credible opposition, failing to call the government to account on key issues at key times and has allowed hard left from the SWP and Greens to join the party (then moans because they cannot vote, though common sense says they shouldn’t) . This post won’t focus on his past or on his failing, but on what is known as Corbynism. I have been in many a debate with people over their leader, and it eventually just becomes a cycle, or me just getting called names. Therefore i am focusing on the whole issue of leadership and what some people have classed as a ‘cult’. I accept that I have a bias, however certain issues have to be addressed and this article attempts to show how Christians should especially look at the so called ‘Cult of Corbynism’. What are traditional Labour values? I keep hearing that we must go back to traditional Labour values, by both Corbyn and Smith. Go back to the days of Keir Hardie. I disagree, as a party; we must be forward looking, being adaptable and modern. 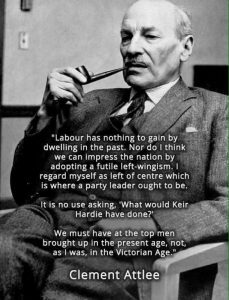 The times of Hardie are completely different to what they are now, the working class has transformed and their needs have changed. The Labour party should be a party that should not be looking back, but always looking to see what it can do next. As Christians, we should also be forward looking, to the coming of Christ, and in politics, we shouldn’t be tied to what a party thinks ‘values’ are, but by the what the Lord wants, to be that light! Love needs to be our guide and we should let our values be shaped by the bible. A few hours ago, I just watched another Labour leadership debate, once again Smith showed passion and directness, with Corbyn being all over the place regarding policies. What caught my attention was a speaker who said he left Labour when Blair won and has only just re-joined the party under Corbyn. Is this what we’re about? Do people want us to win? Shouldn’t that be a key value, to win, to help the people of this nation, no matter their position in society? Of course Christians should be helping people no matter who is in government. We play a huge role in society, but by having a Labour party in government, at least there is some help given by those in power! © Chris Beckett, image used under non-commercial reuse licence. Corybnites seem to rally behind this man even after he is proven wrong, after he failed the nation in his stance on the EU debate (even appearing to sympathise with the Brexit side), and many polls and voter surveys suggest he’s the worst party leader in the history of Parliament. We have to acknowledge our failures and faults; we have to remember as Christians, that he is just a man. What about Owen Smith then? He is a man too, after all. The simple answer is Smith has a greater chance of winning the 2020 election. He will have more of an appeal across the land, rather than the fanatical obsession of a few (which isolates much of the country) and with that bring a government, a cabinet that will aim to improve the conditions of people’s lives across the board, but it won’t be perfect, it won’t solve all our wants. Christians should not follow their leader or their party blindly, as sometimes appears the case with many ‘Corbynites’. Corbyn has many, many faults, and we have to see that and get beyond the propaganda spouted by his office and take a step back. If you want to make a difference, do not look to the leader of a party. BE THE CHANGE, look to Christ, and follow His example. My friend corrected me in a debate once; he said that change has to be done at the grassroots. We as Christians need to be that change, by the power of the Spirit, help people’s lives. You want kinder gentler politics? Then do it yourself, respect the Tories, yes we disagree, but we have to disagree well! Respect those on the centre-left, and all in the party. I know you want to be radical, that I understand, but we have to be careful. If this is achieved then we will see change! So forget your faith in the man, put your faith in Christ and see what can be done! The psalm goes on, beautifully, to talk about how the Lord ‘upholds the cause of the oppressed’, in a way that man never can, however much he tries. Leadership is very much a Biblical principle, but leaders should only go so far and never infringe or get anywhere near the first commandment . 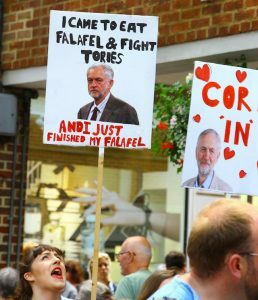 Corbyn, however, charismatic chap that he is, is worshiped like some demi-god by his almost-fanatical supporters. Recently, key figures such as Khan have given Smith the backing to be leader. With the support of 170+ MPs and an ever growing support amongst members, i wonder who it is who will be able to unite this broad church in Labour? As Christians, we understand the value of unity. How I long for it in the church, reformed, charismatic, we need unity. Corbyn is like a Hyper-Calvinist or extreme Arminian in a church, just divides it! You need to understand all viewpoints, and this is why my support goes to Owen. Yes he is not perfect, but no one is. I won’t follow him to the ends of the earth, but i trust him to lead the party to victory. Vote whatever way you want, but before you do, pray! 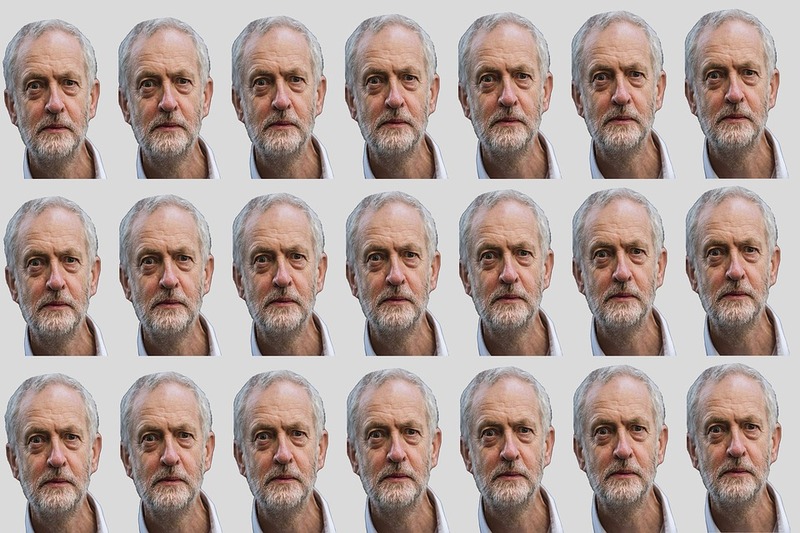 I can say that if Corbyn wins in September, I, along with many others will never vote Labour. The soft-left looks to have been defeated. The radical/hard left politics has won, and now we have right vs left. History shows that the right in England always prevails, the soft-left was really the only way you could implement socialist policies like under Clement Attlee. Anyhow, fellow Christians, maybe I am wrong, who knows, God certainly does, but for me, I use what is in front of me, the evidence and facts. I do pray that Christians can be the light in politics, that we can be the real difference. It isn’t about a man or a woman, about whom he or she is or where he or she was raised. It is about Christ, and what he gave us. If we want to see a radical change, then stop following Corbyn, and get out there and be the difference yourself. Let love be in your heart. I call upon Christians to be love, we are always bound to disagree on issues, but let us disagree well. I am guilty as the next person for letting my emotions get the better of me, but let us learn and let us love. At the end of the day, vote for whoever you feel is best for the job, however seek God in prayer before making a decision. Remember that neither Corbyn or Smith will improve us, if you want to see change, then you be the change, by your love, by your actions and by the work of the spirit. So far, I have discussed how Christians should respond to Corbynism. How as individuals we should respond to the media and support surrounding him. However the issue can be related to the health of the church. It can be stated that this point alone could be its own article entirely. Nonetheless, I feel led to write this together, to see what can we learn from the leadership election as a part of the Body of Christ, the Church. We have learnt that as individuals we should be loving, and that we need to be the light. This also applies to the church. We don’t need to follow political leaders, and that has been shown, but there are also other lessons that can be learnt from this contest. The Church, sad to say, in many ways is no different than a political party. We have disagreements over tertiary and secondary issues, just like a political party. Yet we should have more to unify us – Christ. The Labour leadership contest should be a warning to the church. So what are these warnings? Following men is wrong. Too often do we as a church look to ‘big names’ past and present, at Spurgeon, Ryle, Lloyd-Jones, etc. and see them as something special in and of themselves. However, we are not meant to follow men, or to glorify the past (1 Cor. 1:10-13 & Phi. 3:13-14) . We are to see how God has worked in their lives and ministry, and be inspired, yes. Yet too often I seem to hear people treat these men as people treat Corbyn. We must be careful, look forward and follow God in all we do. The lack of passion in the church. We are seeing people turn out on mass to support a man in a political election. They put us to shame! Where is our passion brothers? They defend Corbyn likes he’s their Saviour. We have a Saviour and where is our voice? We are quiet, usually in our little bubble. We should pray and ask God to renew our lives, our hearts, to give us passion for Christ and to make a change in this world. We don’t have to attend silly rallies, but the passion and energy is something we need. The Church needs unity. Like the Labour party at the moment, we have become too divisive. There are more and more denominations, and it’s getting frankly ridiculous. CofE, Reformed, Charismatic, Pentecostal, Baptist, Evangelical, Methodist, etc… then all the many sub-divisions of each of these, some wackier than the rest. We all agree on the fundamentals, that Christ is our Saviour, yet we let secondary issues and the like divide us into arguments. We take too much pride in our denominations and not in Jesus. Denominations are man made, and although we will never see a unified church here on earth, we need to make steps towards a more comradely, loving church that sees Reformed and Charismatic churches working together, to understand that they may not be 100% right and can learn something from other churches. We shouldn’t want a safe and quiet life, we shouldn’t be running from the world. What we have learnt from the leadership election, is that we have to be bold, and not afraid. We have to stand up for what we believe in and be a difference. I have never been a Corbyn supporter, and to be frank, his support is terrifying. He fails us time and time again, yet it never wavers, it is certainly interesting to watch. Nonetheless, we as Christians do not owe our loyalty to political leaders, but to Christ. The Church does need to learn lessons and the state of the Labour party is a great example of what disunity look like, and how it can happen. We should learn some lessons and become more like Jesus. We are meant to lift up one person alone, and that is Jesus Christ. Our Saviour and our light. These words from a Skillet song tell us how we should lift him up and no one else! Love and peace to all, doesn’t matter what your politics are, who you are, or what you think of me. I hope and pray that the rest of the Labour leadership is done in more of a comradely fashion and If Corbyn wins, then I wish you and the Labour party all the best. Brexit: PANIC!! Hang on lets think about this! It’s been quite a week hasn’t it? The nation has been kicked out of the Euros, oh and we also voted to leave the European Union. Our Prime Minister has resigned and the Opposition appear to be in turmoil. So as a Christian and as a ‘leftie’ I wanted to give my thoughts on what has happened, and the future that our nation now faces. I do hope this post is interesting, if you disagree, that’s fine, if it encourages you to think more on the issues, then fantastic! I voted to Remain in the EU on Thursday. I honestly felt that we were, as a nation, better off in the EU. It protected Christians more than the British government would, and I disagree with nationalism, however the nation decided otherwise. There is a lot of bitterness of both sides still, blame is chucked everywhere and anger is our friend it would seem. After the result, I was bitter and at the time of writing this, am still going through a healing process. I constantly come to God in prayer and read the bible and ask God, why your people would want to vote to leave the EU. Slowly, but surely I am healing, I am finding the answers by listening to people, hearing their reasons. This is an atmosphere where Christians can shine; we need to disagree well, forgive, and not hold it against those who voted the other way, especially our brothers and sisters in Christ. As a Remain voter, I can say that I do acknowledge certain arguments by the leave campaign. The EU is corrupt, it is badly led and it has many faults. It hasn’t shown itself to be very wise and can be problematic sometimes. By acknowledging the other sides views, by trying to understand them, we can respect them, and by respecting them, we can discuss, and with discussion, we can learn to disagree well, and unite together for the good of the country. If I analyse why the Remain campaign lost, I would say that the main reason we failed to convince the electorate was due to the fact of just not listening. The public figures focused their attention on Boris Johnson and Farage, rather than the people, who got fed up with it all. Do I think the Remain camp can be accused of ‘Project Fear’? No I think they stated things as they saw it, as I see it, but it became an easy target for the Leave side that classed it as Project Fear, and therefore handed them propaganda on a plate. I think many students, including me, went into the campaign with our views, our opinions and classed everyone else who thought otherwise as wrong. I don’t think we properly listened to people; anyone who thought otherwise was instantly labelled ‘bigot’ or ‘racist’, etc. This was a problem and we must learn for the future to listen to people, address their problems and stop being all high and mighty. We have seen in recent days, the economy has fallen, our political system seems to be in turmoil. It’s crazy that such a decision by the electorate has caused such chaos. As a person with centre-left views, it won’t surprise you that I welcome this turmoil in the Labour party, I want a leader who can unite the party, MPs and members and can lead the party into the next election with a chance of winning, and provide a credible opposition, to hold the government to account. Corbyn, who was undoubtedly a nice fellow, had views I disagreed with and I could never had voted for a party with him in charge and ultimately he is a bad leader. The Conservative party has also been in chaos, and are undergoing an election for their own leader, our next Prime Minister. As Christians, it’s our job to pray for leadership for both parties, even when we disagree with them, we must pray that they make decisions that help people, the poor, the needy and ultimately glorify God. We must pray for leadership for all parties. The main issue is, for Christians it doesn’t ultimately matter which party we support, we should always pray for them and their decisions. We have our political tribes, places where we can shine individually, but we all share one vision, and one kingdom, and that is the most important thing. Pray for all parties, for those you disagree with; you don’t know who God will use! According to recent media stories, there has been a rise in hate crime, people being shouted at, mocked and bullied for being a different nationality than that of English. Whilst these may be isolated incidents, how sad this is! Brothers and sisters, this attitude is something we condemn. We must acknowledge that both campaigns were on many occasions, fuelled by hatred and anger, and this still lingers in people. We must respond to this with love, love immigrants, those scared, those from our European neighbours, those fleeing from war-torn countries. Jesus does not care about whether or not someone is English, British or European (Galatians 3:28) but for their soul and wellbeing, so whether you think the EU is good or not, that should not let you be drawn in to the hate that is spreading. This surge of hate is sad, and let us as a united church stand against this, regardless of our EU stance, leave and remain campaigners can stand together. The future, what does it hold? Are we to fear, are we to worry? The answer is simply no. We can use the perhaps over-used cliché, ‘God is in control’, which although isn’t wrong, is not always the right thing to say. It can give us an excuse to sit back on our laurels, rather than living out our faith in the world. What we do need is a change; we need the outpouring of the Holy Spirit, in the church. We need to be filled, we need to be baptised in the spirit, be renewed. We need to desire the greater gifts, love, peace, joy, but also beware of falling into the trap of negating or denying the other gifts of the Holy Spirit (miracles do happen!). We need to long for God in a way we have not done for a long time. We may look out into the world and sigh at all the pain and hatred, but change can only happen, if we are first on fire for God. We have to burn bright, and to do this, we need the Lord! The next few years may be turbulent, they may be tough, who on earth (except God) knows but we have to work together to help the poor and needy. We need to put our trust in God; He will lead us. We should certainly live out our faith more. I feel the referendum has exposed some flaws in the church, and my call, I believe Gods call, is that we become more unified, but also live out our faith, love, care and forgive. Thinking on this, this could be the Church’s time. Hate and extreme anger is on the rise. I don’t believe that Christians voted with this hate in mind, but on the corruption of the EU. The church now must shine, to love, to fight for the rights of the poor, to live out the gospel and to follow the example of Jesus. Who knows, even for such a person like me, this could actually turn out to be a blessing. 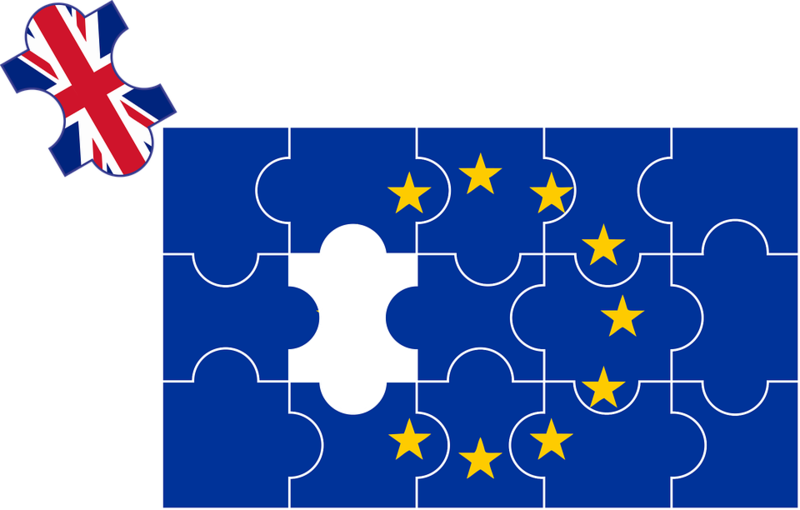 Author Michael SewellPosted on 28th June 2016 8th May 2018 Categories PoliticsTags Brexit, LoveLeave a comment on Brexit: PANIC!! Hang on lets think about this!